The prevalence of hypertension, also known as high blood pressure, is constantly on the rise all across the world. In the U.S alone, it currently affects 70 million adult, which is one in every three adults. 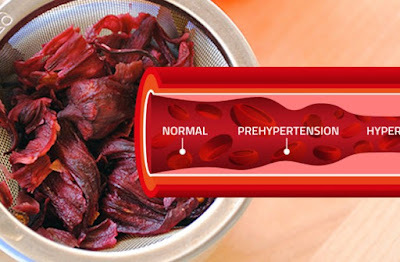 It is also worth mentioning that about a third of American citizens have prehypertension, a condition which is characterized by high blood pressure, but not yet HBP. This disease costs the USA $46 billion annually, including the cost of medications, treatment, and health care services. Blood pressure is measured by the amount of force that the heart pumps through the body. The pressure can be measured by the amount of force used, the volume of the pumped blood, and the size and flexibility of the arteries. Primary Hypertension is the most prevalent type of HBP. It is believed that genetic factors have a critical role in this condition, including genes that cause abnormalities of the sympathetic nervous system and those affecting blood pressure control. There are various options for drug treatments for hypertension, including beta blockers, calcium channel blockers (CCBs), diuretics, angiotensin-converting enzyme (ACE), and Angiotensin-receptor blockers (ARB). The problem with these drugs is almost all of them cause the patient to feel even worse that the disease itself has caused him to feel in the first place. Treatment: These drugs help the kidneys flush out excess salt and water in the body and are usually the first treatment prescribed in case of hypertension. Thiazide diuretics may lower body`s supply of potassium, which in turn increases the risk for heart rhythm disturbances. They are also associated with elevated uric acid levels, erectile dysfunction, and elevated blood sugar levels. Treatment: Beta blockers slow the heart rate and lower blood pressure levels. Treatment: These drugs widen the blood vessels and reduce the overall workload of the heart, thus treating high blood pressure. Treatment: Just like ACE, ARBs also widen blood vessels and lower blood pressure. This thorny shrub has been long used to treat heart disease. It possesses potent antioxidant flavonoids which improve blood glow, dilate the blood vessels, and protect them from potential damage. The leaves and buds of this herb contain higher amount of flavonoids when compared to the berries. According to a study done on hawthorn, participants who took hawthorn extract for sixteen weeks had lower blood pressure than the placebo. The flowers of this herb have been long used to heal issues like anxiety. They contain volatile oil, flavonoids, and mucilage component, all of which work in synergy to soothe inflammation. Interestingly, linden works as potent sedative, diuretic, astringent, and antispasmodic agent. It has been scientifically shown that mistletoe neutralizes blood sugar levels in diabetics and helps treat cardiovascular disease. It is capable of soothing rheumatic and arthritic pain, too. In one study male participants aged 30 to 65 years, were given 250 ml of hibiscus tea while the placebo group was given only water. The first group exhibited improvement in blood pressure and inflammation when compared to the placebo volunteers. Yarrow holds a special place in folk medicine in many European countries. It is packed with flavonoids which improve digestion and relax the smooth muscles in the intestine and uterus. Its flowers, stems, and leaves are widely used for medicinal purposes, particularly when it comes to lowering blood pressure and boosting the effects of drugs used for this condition.